Very floral and fresh lychee nose. 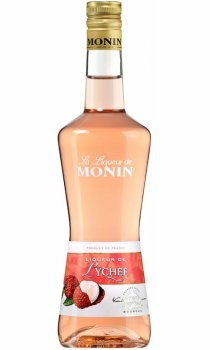 Subtle, fruity and floral balanced taste of lychee with a hint of acidity. Long lasting sweet fruity aftertaste. Lychees, also known as litchis, are native of Asia and have been a prized fruit in China for more than two thousand years. Once the lychee is peeled, a pearly white, sweet and firm flesh is discovered.